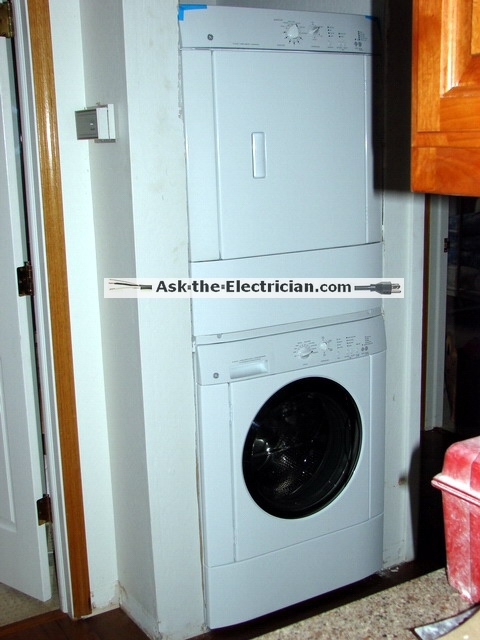 Summary: Electrical Circuits Question: Bought front load washer and dryer and because of the doors swings, placement is opposite from original layout. I bought a front load washer/dryer and because of the doors swings, placement is opposite from original layout. I have relocated the dryer vent and now I want to relocate the rcpt. The dryer cord can reach the old receptacle location but the washer hose hook up is directly in front of the receptacle. Can I add or splice to the existing cable and use the old rcpt box as a junction box? Hi John - Great Electrical Repair Question! Yes - you can use the existing receptacle box as a splice box to extend the circuit to a better location. Here are the steps to follow: Be sure to turn off the circuit, mark it so no one turns it back on and verify it is off at the receptacle. Pay careful attention to how the receptacle is wired, which wire goes where, especially the ground (and neutral if there is one). Use the exact same wire size and type to extend the circuit. The wiring should be run inside the walls, but if you need to extend the circuit on the surface of the walls then you need to install the wiring without the romex style jacket or purchase individual wires of the same gage and install them in conduit using connectors attached to a metal extension box on the existing box, then to a new surface mounted receptacle box in the new location. Support conduit with straps and firmly mount the new box preferably where a stud is so you can use wood screws. Junction the extended wires with good wire connectors sized properly for the wire gage. Be sure to cover the original box with a blank cover. plastic or metal. Make up the receptacle in the new box and replace the cover. Turn the circuit on and test it out. Thanks for replying to my question, but the more I thought about it the more I didn't like splicing. In addition, the existing cable is a 10-3 with no ground wire. Saw were the codes now require 10-3 with ground wire. Even though my existing cable met the code since my house was built in 1989, I thought what the heck, I'll go ahead and run a new cable to the box and get things up to code. Had all the studs exposed already since I put in a new 4 vent line to vent outside. My dryer room is located in the middle hallway with no exterior wall. Anyhow, installation is complete and all is working well.